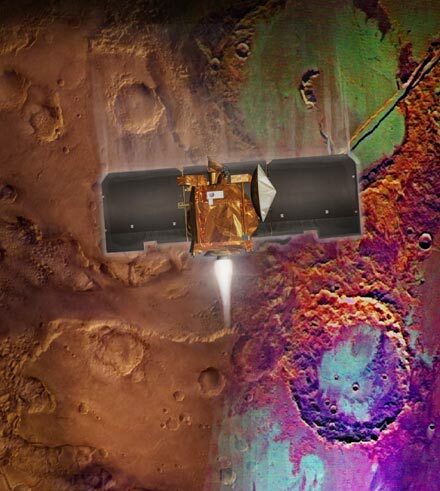 NASA's 2001 Mars Odyssey flight team successfully delivered the spacecraft into orbit around Mars as scheduled on October 24, 2001 (Universal Time). Find out more about Odyssey's insertion into Mars' orbit. levels, altitude, orbital speed, and much more. MOI Trajectory Animations: Animations showing various viewing perspectives of Mars Odyssey as it enters into orbit around Mars. The spacecraft view is no longer available. For more information about Interplanetary Space Travel, see the Basics of Space Flight.